I'm sort of cheating slightly. 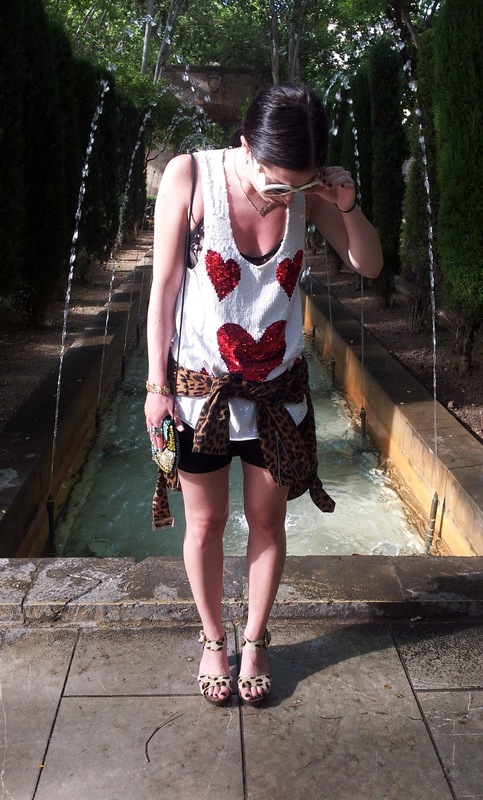 This is an extra wee outfit from my holiday last week. Was in a massive rush this morning and didn't have time to take pics of today's outfit so will post it later on. I was having a little 90's flashback this day on holiday in my cycling shorts and my jacket tied around my waist. Cycling shorts: H&M. Sequin white top with hearts: Topshop (I remember getting this on my 'uniform allowance' about 3 years ago when I worked as a stylist for Topshop. I haven't ever worn it, it still had the labels on, how terrible is that!!) Sunnies: Prada. Leopard clogs: River Island. Leopard jacket: Nasty Gal. 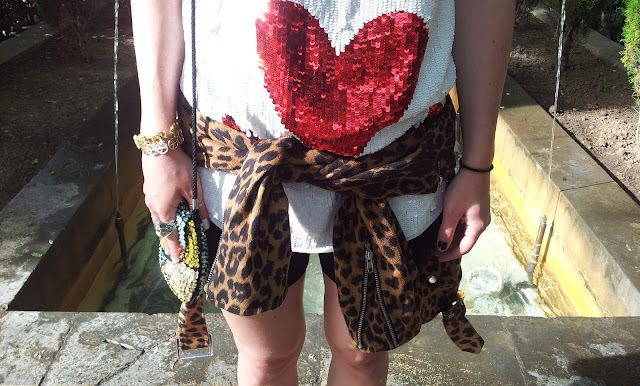 Sequin bag: Topshop. Woah, thats a whole lotta leopard and a whole lotta sequins.